Remember the show The Nanny? Fran was the lady in red while everybody else was wearing tan. Just call me the nanny of decorating because I believe surrounding myself with color makes for a happier home. 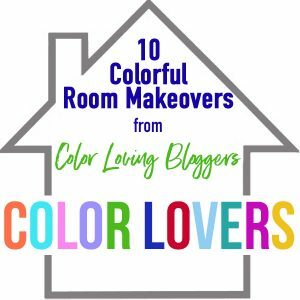 I’ve teamed up with nine other color loving bloggers to bring you our Color Lovers room makeovers where we each make over a room in our homes using color, glorious color! Today, we share the plans and in 30 days, we will show off the rooms in all of their colorful glory! 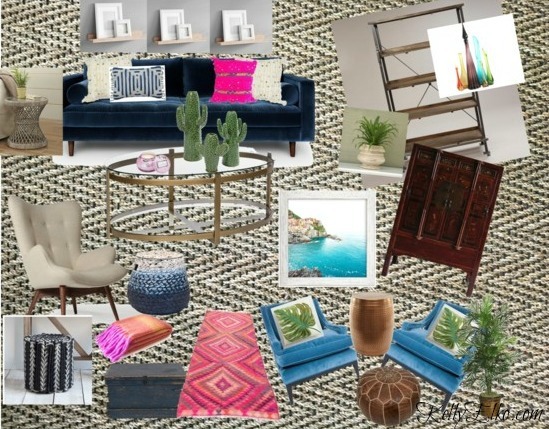 I can’t wait to add some spice to my living room and here is what I envision. (it’s where I got my gorgeous farmhouse table). 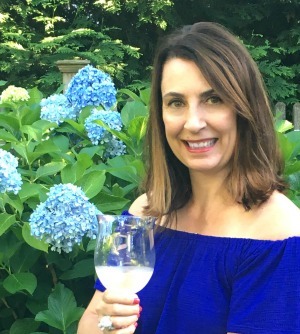 One of my favorite affordable places to shop classic designs and they’ve added so many great new pieces. An art lovers paradise but did you know you can order art on curtains, lampshades and more! I highly recommend emptying the room and looking at what you have in a new light! 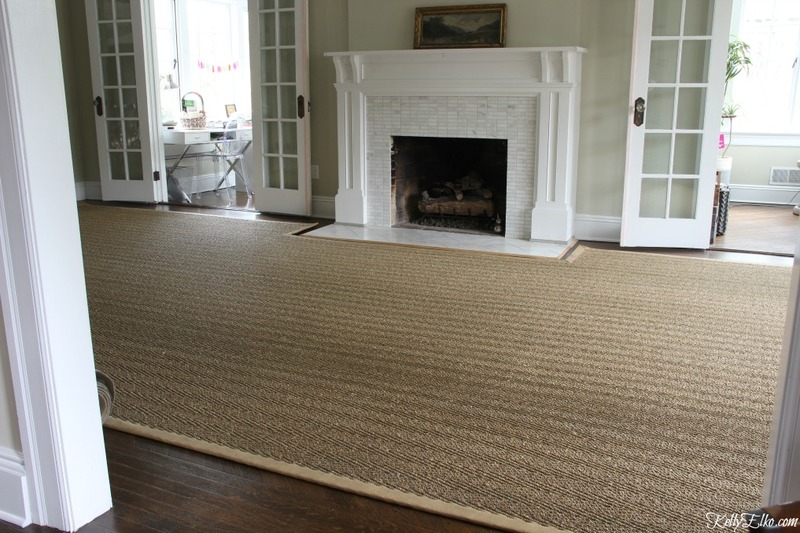 It all started with this new custom size seagrass rug. It really defines the long room, adds so much texture and I love the cutout around the fireplace. 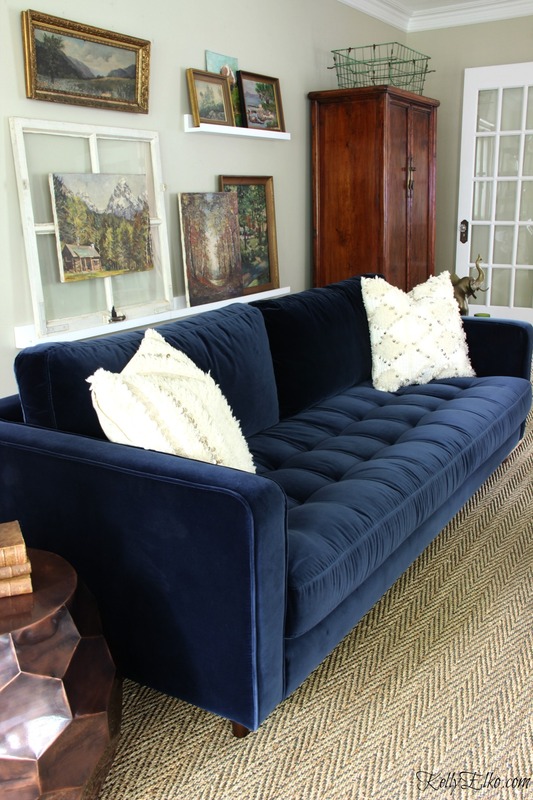 Next came my gorgeous blue velvet sofa. If that doesn’t scream Color Lover, I don’t know what does! I actually ended up moving the sofa to face the fireplace (my old sofa was perpendicular to the fireplace which cut off the room). This arrangement opens up the space so much! 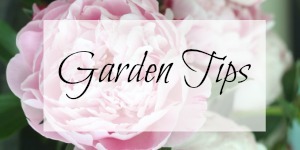 I’ll keep some of my pieces, sell some others in my Facebook Buy and Sell Groups, add some fun new finds, move things around and create a more casual, kick your feet up space. 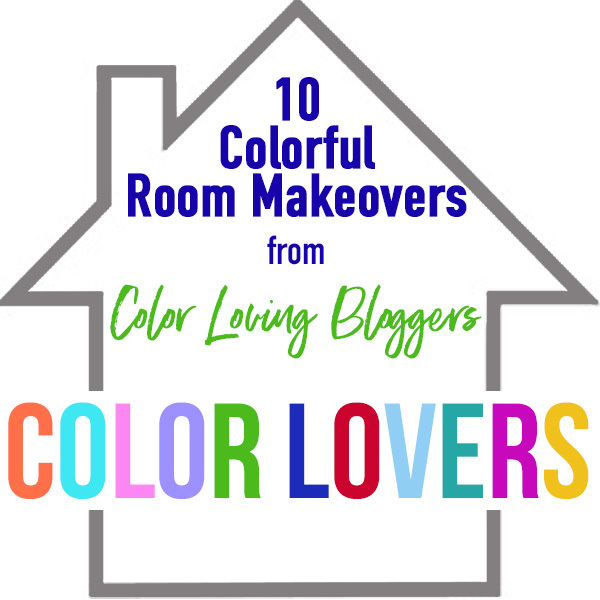 I’ve got a month to make this happen so make sure to stop by on June 27 to see my room plus nine more Color Lovers spaces completely made over. « Previous: Cowbirds Invaded My Porch Nest! i can’t wait to see you do this! it’s going to be awesome! i should have done it because i made a bold move in my own house yesterday and i love it! Hey color lover! your room is going to look amazing…already does. I can’t wait to see it all come together, Kelly! You have a beautiful base and I love those pops of color in your design! Love the plan and that fabulous sofa! Can’t wait to see your finished room. Thanks Hope – now to get cracking on the room! That rug is FAB-U-LOUS! What a difference it is going to make in the room. Love the pops of pink and orange you are going to add in the way of accessories. I can’t wait to see the reveal. Great plans, Kelly! I love all your colors and textures and can’t wait to see it all. Thank you so much for putting all this together, you did a great job organizing us all. This has been a very fun project to work on! I love your inspiration and that room! It looks like such a fun room! I can’t wait to see the reveal! Good day! I need some advice on decorating a 1925 Cape Cod with no hall closet, no pantry, no toilet paper holders, tubs have no soap niches. The house is really cute but the lack of these storage areas is a drag. Can you suggest any creative ways to handle this issue? I loved seeing your inspiration board Kelly! I love the colors you have chosen and can’t wait to see your room! Thank you Kelly for including me in the series and the new couch is gorgeous! I love how vibrant the blue is and I can’t wait to see the entire space!! Thank you, thank you, thank you! Neutrals have flooded the internet. So happy to see some color! I know Kim – we’re better than beige!